If your tub or shower valve is on it’s last leg, or if it’s simply outdated, we can replace it for you. We’ll coordinate with you to determine the valve that you’d like to have on your tub or shower. If you’re simply renovating your bathroom, you’ll likely be searching for a tub or shower valve that fits in with the rest of your fixtures. Consider valves that are silver if the rest of your fixtures are silver, and gold if they’re gold. If you’re looking for an upgrade on your valve, look for valves with easy, highly accurate heat control, so that you get the perfect temperature out of your faucet or shower head every time you go to bathe. Is your shower and tub valve causing a leak? That’s bad news for your water bill, since you’ll literally be letting water run down the drain. Many tub and shower valves simply need to be disassembled, repaired, and reassembled to fix the leak. Often, the interior components can fail and cause the valve to slip when it should stay in a fixed position; that’ll cause your tub faucet or showerhead to leak. Even a slow leak can cause hundreds of gallons of water waste, and a notable bump on your water bill. Again, regardless of the plumbing services you need, you can count on InSink Plumbing. With InSink, we’ll schedule as soon as it’s convenient, and get the fix done properly and efficiently! Get in touch with us to book an appointment with your local plumber at InSink. 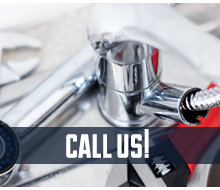 We provide plumbing services throughout Addison, Elmhurst, Carol Stream, Wheaton, Winfield, West Chicago, Lakewood, Wayne, Keeneyville, and Bloomingdale, IL.